Questions about triggers and when they check. 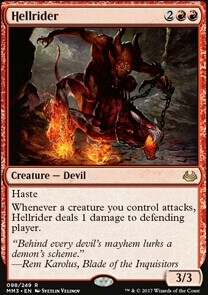 Whenever a creature you control attacks, Hellrider deals 1 damage to defending player. Hey, you've made an overall good budget Boros deck using cards you have, but it's confused as to what strategy it is. You have the start of a Boros aggro strategy with lots of good two and three drop creatures, but then there's 14 creatures with 6 or higher CMC (converted mana cost) who are out of place with the rest of the deck. You already have your six drop who's Aurelia and she benefits as well as the rest of your army does from low CMC creatures to attack with. Did you buy the Guilds the Ravnica Boros Guild Kit? If you did there's some creatures in the kit to consider adding. Consider more Battalion? Legion Loyalist in Guild Kit. Boros Elite : in Guild Kit. Daring Skyjek : in Guild Kit. Boros Swiftblade : in Guild Kit. Silverblade Paladin : soulbound with Aurelia. Double strike is a pretty powerful ability when your attacking creatures are getting a pump as well as when you're getting an extra combat step with Aurelia. Lots of two drops and three drops are good with dual lands that ETB (enter the battlefield) untapped. Consider adding these lands? Command Tower : staple land for multicolored Commander decks. If you have it or can afford it Cavern of Souls is another rainbow land to consider. It's nice because it can make colorless mana to cast other nonVamp spells. Making Vamps especially Edgar uncounterable for a huge swing with haste is also great. 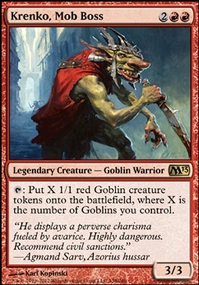 Goblin Bombardment is a better sac outlet here than Phyrexian Altar because Bombardment is damage output when you sac and that's more important for your strategy then making mana. Bloodghast is good with Bombardment, Skullclamp, Artist, Highborn, Cutthroat, etc. he's one resilient Vamp. Blood Seeker is good to punish your opponents creature token creation strategies. Being able to tutor for this guy when your against opponents making tokens is pretty helpful. For some opponents they must remove Seeker before they can do much of anything. There's a lot of infinite game winning combos that require creatures to repeatably ETB (Lark + Guide, Kiki + Angel, Animar + Statue, Aurelia + Helm, etc.) opponent has to remove Seeker before they can do these combos. 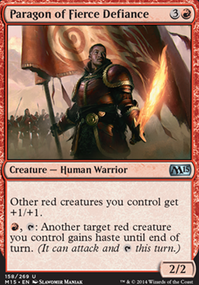 There's a lot of Commanders who rely on creatures to ETB for strategy (Prossh, Animar, Krenko, etc.). Even if not against token strategies Seeker still puts in work, repeatable life loss for an opponent when they play a creature and just about all Commander decks play creatures. Mirror Entity is a Vamp and it can pump all your Vamps including all 1/1 tokens, but as far as three drops go it's slow. Hellrider is not a Vamp, but he's more damage output and has haste. Unfortunately, he can only hit one player with damage, but 1 damage for each attacking creature is still very good with aggro. Armageddon is a way to combat green's annoying land ramp. Establish a bigger army of creatures faster than your opponents and then Geddon the table. @metalevolence That is mostly due to me having cards lying around that I haven't been able to use in a while. I am moving cards around to play test other things but haven't had a chance to meet up with my playgroup recently to try them out. I honestly will likely take those out and add a little more ramp or something to curve out the deck a bit better. I will definitely figure it out when I have more opportunity to play again. @mtgmidget You should honestly try out Mirror March . It is more of a pet card that I threw in since I was going to toss a Krark's Thumb in anyway but it ended up being very fun to use. It is really fun using it with etb effects or even with something as simple as a Hellrider . Captive Audience also surprised me with how flavorful it felt with the style of deck. If you want to try out some cards for fun definitely worth throwing the few quarters in for em. I also really liked the Decoction Module suggestion because there were a couple energy cards I was looking into anyway. Cadois i dont understand how Hostility wouldn't work? wouldnt creature abilitys like Hellrider and Purphoros, God of the Forge trigger Hostility and Warstorm Surge ? as long as even one damage gets dealt Hostility should create an infinite number of 3/1 elemental shamans? or am i missing something? Hey I'm a long time Aurelia player, but Im not sure if you keep up to date with this deck. However I played it today, and have some changes that I recommend. First up at the macro level, you have too many 4 drops, not enough mana ramp, and not enough removal. 13 is probably about the correct number of 4 drops to have. 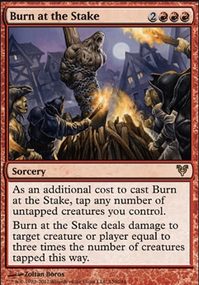 Also conceptually, I think its better to play Boros like modern jund, and not modern burn. i.e., as a midrange deck. Because of this I would add things like Land Tax , Gift of Estates or Boreas Charger . Because you need to cut from your 4 drops, I would add a couple of 2 CMC mana rocks, because of how well they play with 4cmc cards. And I would actually add 2-3 6 drops in the deck. 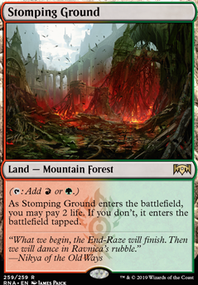 When the game goes big you want to be able to go big also, again this does depend on making all of your land drops. Cards I would cut, Thundersong Trumpeter, Figure of Destiny , Spear of Heliod since i don't think any of these have enough impact. I would also cut Hellrider , probably kalemne, and I would most certainly cut Mind's Eye since it is really bad in aggro decks. For card draw, look at things like Stolen Strategy , Etali, Primal Storm , Magus of the Wheel , Reforge the Soul or Memory Jar . As far as things to add, I would definitely add Sun Titan , True Conviction and a probably another card or 2 to give additional combats of which there are many. You could also look at adding Thalia's Lancers to make sure you can hit Aurelia, Elesh, or Gisela as needed. Anyway those are a few suggestions. More 2 CMC rocks, less 4 cmc cards, a few more 6 drops, and it wouldn't hurt to up your land count 1 or 2. I like the changes! Looks like a solid deck. The last thing I would do to tune it is look at the bottom end of the curve. Gibbering Fiend and Pilfering Imp are cute, but now that you've removed your token producers, you'll have a tough time feeding Demonlord of Ashmouth , Eater of Hope , Xathrid Demon , Shadowborn Demon , and Infernal Offering . You've still got some cards that care about going wide, like Torrent of Souls , Hellrider , and Skirsdag High Priest . The rate on Hordeling Outburst is good. For a reanimator deck, Skirk Ridge Exhumer , Cryptbreaker , Call the Bloodline , and Silversmith are also good. At the top end of the curve, Abhorrent Overlord could also warrant consideration. Also, in the land slot, if you feel your manabase is good, I like Kher Keep . Speaking of the manabase, Urborg Volcano and Tresserhorn Sinks are better in your deck than Evolving Wilds or Terramorphic Expanse . 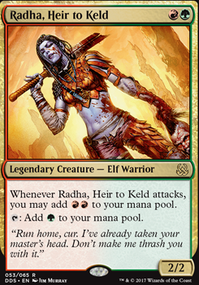 Rix Maadi, Dungeon Palace is a good utility land for reanimator. Also, Pyramid of the Pantheon and Molten Slagheap are real bad. Myriad Landscape is miles better. My favorite low-curve option for pumping out bodies is Hanweir Garrison . Hanweir Battlements would be a sweet addition, as well, and I think it's better in this deck than Hammer of Purphoros . 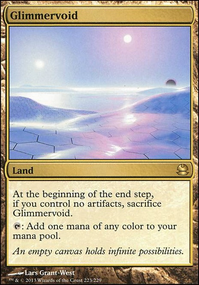 You don't really want to be taxing your lands with a deck full of 5+ drops, and I could say the same for Underworld Connections . It looks like a budget Phyrexian Arena , but it's really not. You're pretty good on card draw at this point, but if you really feel the need for another source, Night's Whisper is a clean, solid option. Possible value in Phyrexian Tower and Lavaclaw Reaches . A good creature for combat would be Hellrider . With enough tokens and a Grafted Exoskeleton equipped you could clear a table.